great blog series. some guy in the 2013+'s trying to replicate an elite's (his coach) training from 1981-1982.
lots of gold in that blog. Tim Hutchings, who is in a far better position than I to comment, wrote an article in Athletics Weekly last week in which he lamented the fact that many of today’s better runners are under-raced compared with the runners in the ‘80s. I think this is partly down to a fear of being found out. A lot of people tend to only race when they’re in really good form now, rather than using races as a way of finding form. Charlie Spedding writes about not being scared to race in his book ‘From Last to First’, much of which is concerned with the mental approach to running. Rather than attempting to avoid racing people who are better than you, or being scared to compete, he advocates seeing racing better runners as an opportunity rather than something to be feared. The ‘focus’ Charlie refers to requires a bit more time. It means deciding what you want to do and then getting on with it. It means deciding to run twice a day, and accepting that running will become the punctuation to your day, the two bookends between which everything else fits. This is an exercise anyone can do (you don’t have to be in a pub, but it helps). It makes you accountable to yourself, and it gives you something to refer back to. And it’s pretty simple. Get yourself a pad of paper and write “What do I want?”, “Why do I want it?” and “How much do I want it?” If you don’t know the answers to those questions, Charlie reckons, you’re unlikely to get the most out of yourself competitively. I’ve done my own version for this summer, but it’s not going on here. It’s one thing being accountable to yourself and quite another to make yourself accountable to eightlane message board posters! Having target races doesn’t mean that you don’t run other races, or that you don’t run the other races hard, but that you aim to really put pressure on yourself in the races where you want to get results. will paste more quotes as i keep reading. a piece of bill rodgers training journal! in his book he outlines his training routine. 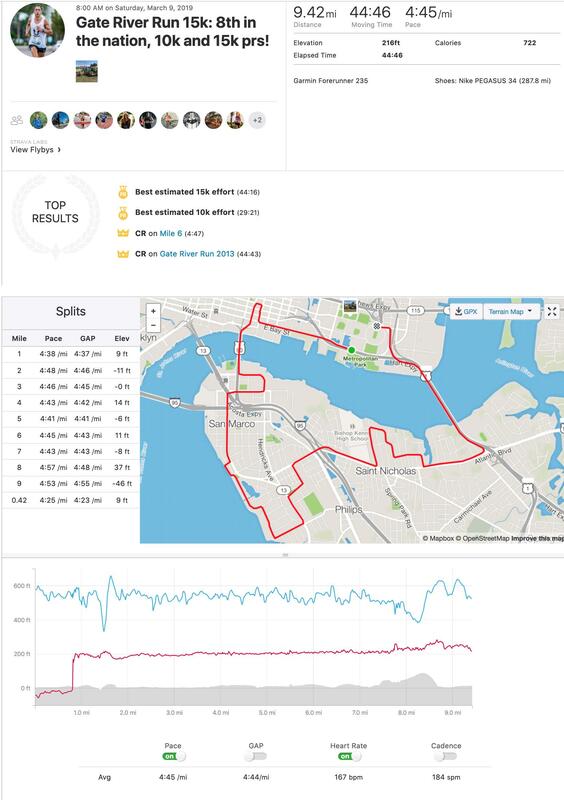 in summary, high mileage, 2 runs a day peppered with light speed work a couple times per week and very frequent races. trained through most races as he prepared for his marathons. 130 mpw was normal, week after week, year after year. 90 was a very light week and he hit 200 at least once. consistency, consistency, consistency. great book. What kind of pace was he running most of his runs at during the 150-160 mile weeks? 6- 7 min./mile, thousands of laps around Jamaica Pond in Boston. Avg. mileage in 73 before Boston well below 150 per week though he did have some 140's. Enoch is a damn monster. He's looking to go sub 2:15 in Boston.. that's major. He might be able to do it too, he's in incredible form right now. just a long run workout, 20 miles in 2h3m, with 4:50's dropped in etc. 1.52 mi @ 4:24 pace. 6:41, split 4:26 for the 1600, overall 15 seconds faster than when I did this workout during my CIM build. Ready to break 14 next weekend at Matanzas 5k! I can’t thank everyone enough for showing support before and after the race in Houston. I felt every bit of support and it’s that type of energy that helps one dig a little deeper during the race when things get difficult. It gets one through the journey and lifts one to higher places than first imagined. It also makes the celebration much better. This USA Olympic Trials qualifier is not only mine but a larger team effort. In the buildup to the race, I tried to learn as much as possible about the Marathon, without it becoming overwhelming. I was going to do something I had never done before, which makes for a stressful yet exhilarating experience. I gleaned information from many sources, Coach Lundo, my teammates, family and friends in the community who have run the Marathon. There are a host of tiny details I carried with me into race day. It’s a little bit like being a collector. You collect, sift through everything and keep the things that help. One thing that helped me in the last few weeks was writing down my plan of attack. About 10 days out, I wrote out the range of splits I thought I could hit in 5-mile increments. I also wrote down a quote/image I thought would help me for that segment. I can’t remember if all of these quotes/images surfaced in my head during the race, but the theme was there for me. The splits I explicitly remember seeing during the race were the 10-mile, Half and 20-mile (52:40, 1:09:13, 1:46:00). Other than that, I was zoned in, sometimes checking my watch for a split, but mostly trying to hit the right feel. The lesson I took away from this is I knew myself better than I realized. I had put in the training for months and it had produced self-knowledge. If we know ourselves and we put in the right training, there is less fear around an experience, and you can just let go, let it fly, and dive into the moment. lol it's reassuring that he occasionally excoriates himself for "laziness!!" I ordered his book "Marathon Man", should be here soon. I've been fascinated with Bill Rodgers lately.. Seems like he had a very simple formula, and after several years, it took him to the "promised land". Just a high mileage guy, who loved to race. Pretty simple for the most part. Interested to see what he says in his book. I have "Self Made Olympian" from Ron Daws, another high mileage guy who raced often. I love that style. 14:09 5k by himself on a track. Felt strong the whole way, missed sub 14 but really happy considering conditions, training and solo effort! Pumped for Gate next weekend! 1 year to go to the Olympic Trials! apparently there's vid, but i can't find it. if they reply with a link i'll edit it in. Enoch Nadler, 8th OA in the 15k Championships - this race always has an insane field. one of the fastest Floridians ever. some really nice episodes, showcasing Enoch Nadler getting ready for the 2020 US Olympic Trials - Marathon. ^^ has some interesting info about how he grew up.. didn't expect that. and he also was a pro poker player for 5 years hah. he's probably Florida's fastest guy right now, serious range from mile to marathon.